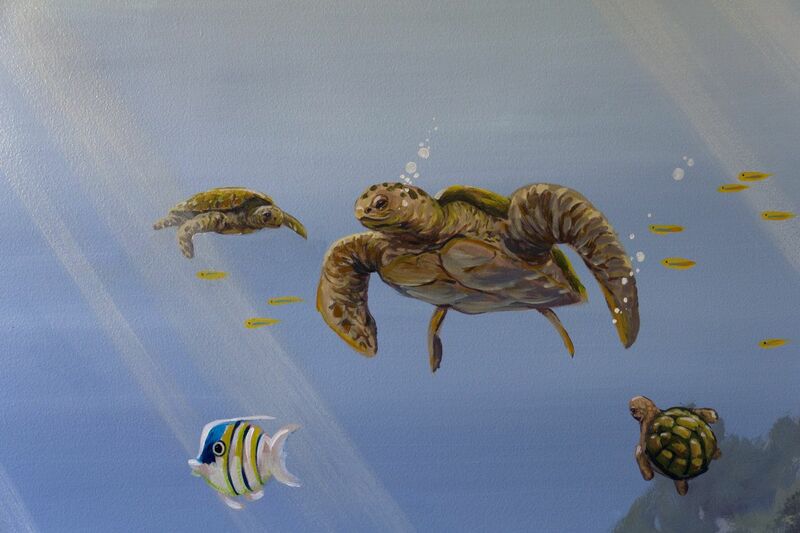 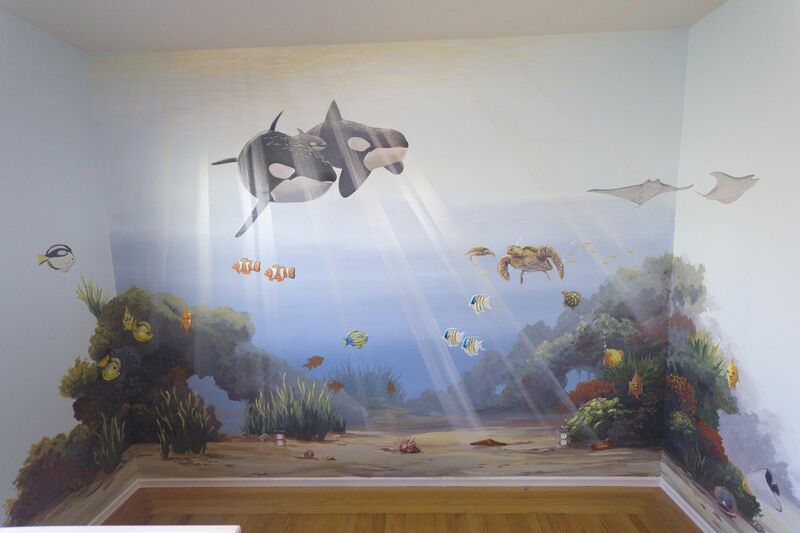 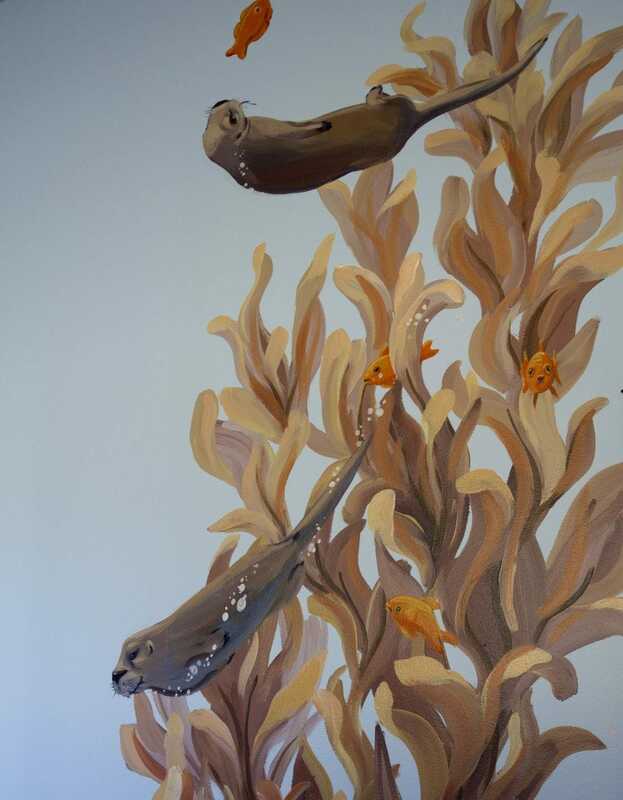 This mural was painted for a boy’s nursery. 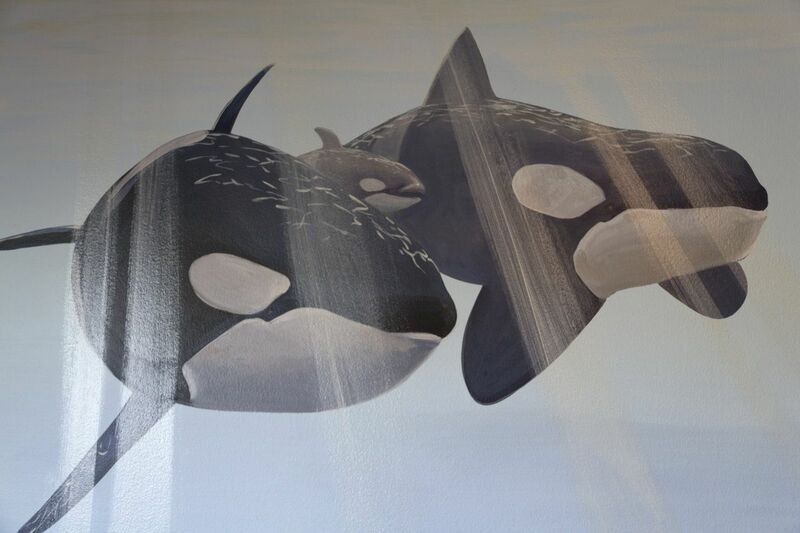 The father was from Monterey, CA, and grew up loving the Orcas at the Monterey Bay Aquarium. 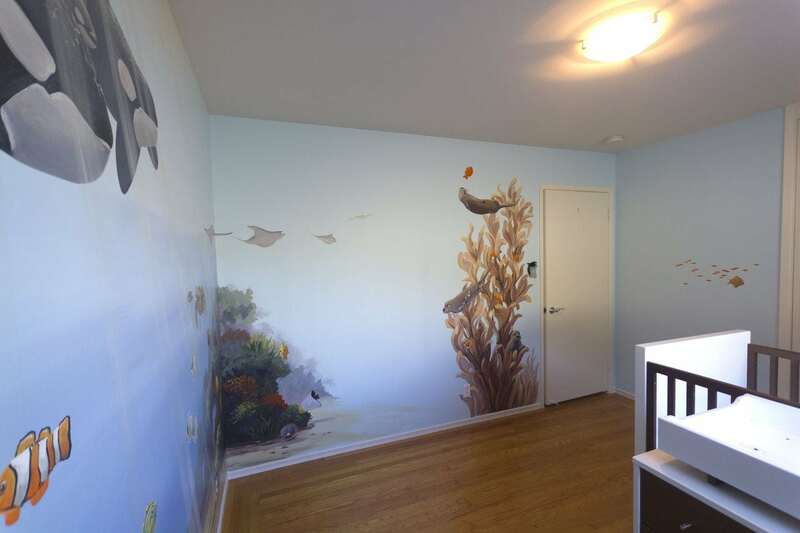 We incorporated playful sea otters, turtles, and colorful tropical fish that a toddler would have great fun discovering and identifying as he grows up.